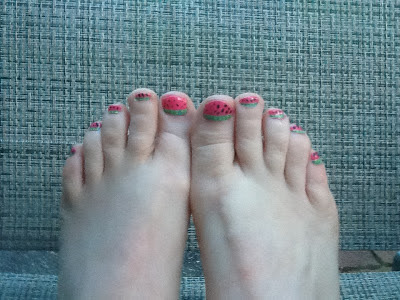 Watermelon Toes! - HAPPINESS IS WATERMELON SHAPED! toes nails - thanks to my daughter, Bethany. 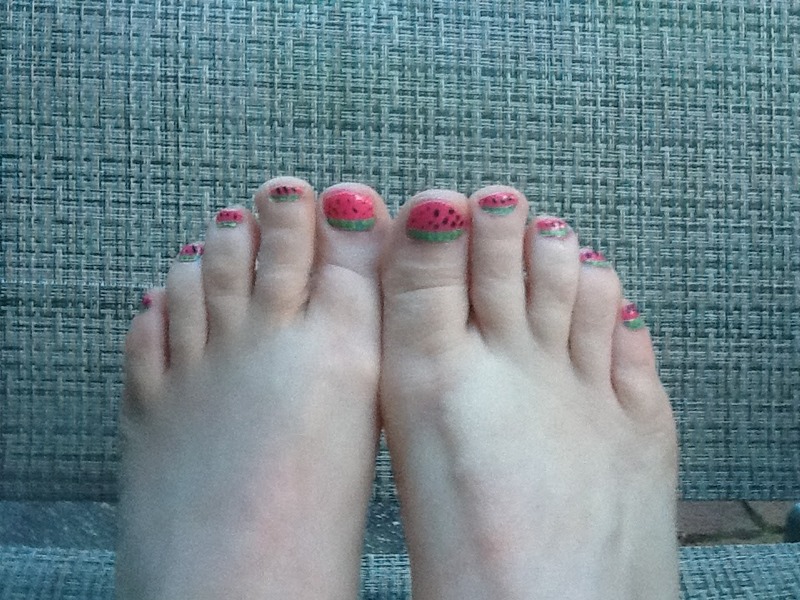 You know you've gone off the deep end when your toes nails match your blog! I saw your adorable watermelon toes on Instagram! Too cute!